Now for the billion-dollar question, is investment in market research really worthwhile? Does market research actually accelerate the business and development efforts of our marketing initiatives? A famous survey proves that firms that have a market research budget are nearly two to five times more likely to report effectiveness in delivering services, using innovation and employing competitive practices. Analysts are strictly accountable to company CEOs asking to track the benefits rendered by market research. 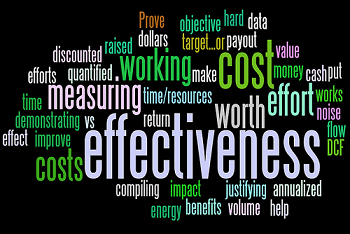 Mostly managers feel that market research is a wasteful expenditure and act accordingly. They don’t utilize it before major structural changes in marketing like publishing a new advertisement campaign or launching a new product. They may even receive scalable advantages to support their earlier notion. But, luck may just betray them the second time! If only they relied on statistical measures, their results would have quadrupled. Long term sustenance in the business is ensued by carefully scrutinizing and following systematic plans; not through short-cuts. Even though we started at a brisk pace, there is one thought nagging our minds. How to quantify the return on investment for market research? To an extent, that job may be undertaken by key performance indicators (KPIs) and metrics. A monitoring system will suffice to track the implementation of results into business and co-related applications. Many marketers are failing to realize the impact market research can make to the bottom line.